2016Mama Rumaan, a contemporary Middle Eastern canteen is opened on Central Pier. Announced in August, a new partnership between Atlantic Group and Tommy Collins. The joint venture welcomes a revitalized external catering brand, known as “Tommy Collins by Atlantic Group”. 2016Awarded the exclusive catering contract at Gardens House within the Royal Botanic Gardens. 2015Fish & Chippery by The Atlantic opened in December. Younger sibling to the esteemed restaurant and adopting the same ocean to plate philosophy, this neighbouring outlet serves up the freshest season produce in a takeaway, waterfront environment. 2013 Launched a retail offering on Central Pier in Mill & Bakery. An artisan bakery specialising in freshly baked bread, pastries and sweets. A local favourite amongst Docklands residents and workers, this charming waterfront bakery has also become highly sought after for exclusive baby and bridal showers. 2013Atlantic Group successfully tendered to provide corporate catering services at the Formula 1® Australian Grand Prix. Now the second major event added to the portfolio. 2011 Atlantic Group was appointed a preferred caterer by the Victoria Racing Club (VRC) for the Melbourne Cup Carnival. On initiation, Atlantic Group were allocated two marquees. Today the team caters to more that 50% of the marquees located course wide. 2009Atlantic Group successfully tendered for retail leases at the Crown Entertainment Complex. In 2011 The Atlantic restaurant opened along with basement bar, The Den. The largest restaurant at Crown, The Atlantic seats 300 in a premium, fine dining environment that celebrates ocean to plate cuisine. Within the confines of the restaurant resides the fresh and express Oyster Bar & Grill. 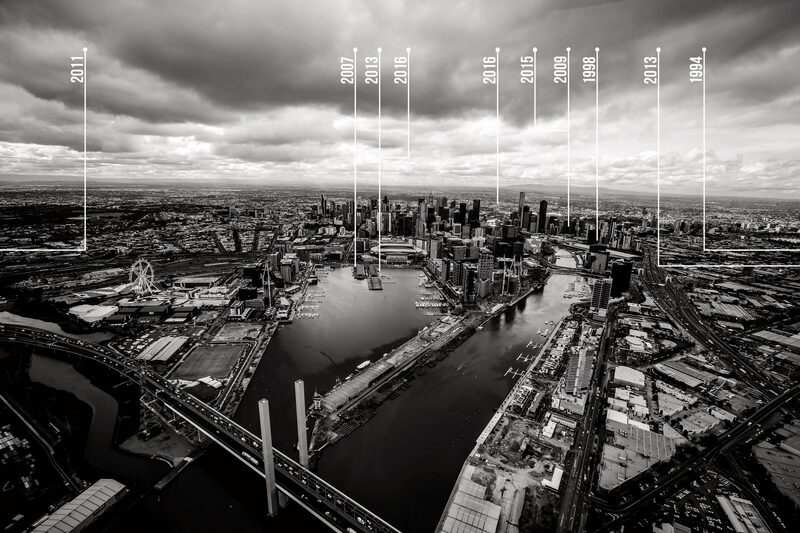 2007 Mr Saleh set his sights on a highly competitive tender to develop Central Pier in Melbourne’s Docklands. Successful in the bid the lease agreement was signed to redevelop the precinct. Four event spaces on Central Pier – Peninsula, Atlantic (now known as MAIÀ), Sumac and Sketch – opened their doors. Catering everything from intimate weddings to 1000 person corporate dinners and everything in between. In 2008 Atlantic Group launched an external catering division in order to offer the experience received within Central Pier venues at a location of choice around Melbourne. 1998Atlantic, the event space, was created at South Wharf after CEO Hatem Saleh identified a gap in the market for a venue that could cater to 500+ guests. In 2002 business at South Wharf expanded to include 2 new event spaces and nightclub, Alumbra. 2006 saw the Victorian State Government announce plans to redevelop the South Wharf site and subsequently issued notice of a compulsory acquisition. The successful seven year residence was no longer and the business required relocation. 1994Opening of a seafood restaurant, Atlantic, located in Melbourne’s St Kilda. Atlantic Group’s first business venture was the opening of a seafood restaurant, Atlantic, located in Melbourne’s St Kilda. Hatem Saleh identified a gap in the market for an event space that could cater 500+ guests. A South Wharf site presented an opportunity and Atlantic, the event space, was created. Business at South Wharf expanded to include two new spaces. Sumac, a Moroccan and Middle Eastern inspired event space and nightclub Alumbra. Atlantic Group now employed a full-time staff of 25. 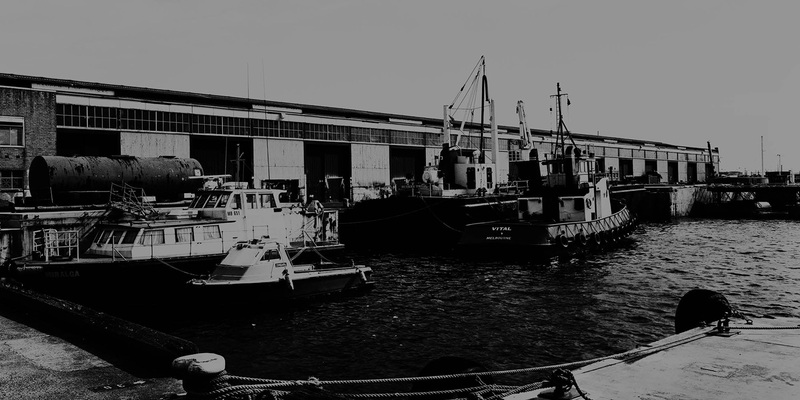 The Victorian State Government announced plans to redevelop the South Wharf site and subsequently issued notice of a compulsory acquisition. The successful seven year residence was no longer and the business required relocation. Atlantic Group set their sights on a highly competitive tender to develop Central Pier in Melbourne’s Docklands. Successful in their bid the lease agreement was signed to redevelop the precinct. Four event spaces on Central Pier – Peninsula, Atlantic (now known as MAIÀ), Sumac and Sketch – opened their doors. The launch of Atlantic Group’s outside catering division. The team were now able to translate their expertise and skill in a setting selected by the client. Atlantic Group successfully tendered for retail leases at the Crown Entertainment Complex. The Atlantic restaurant at Crown Entertainment Complex opened along with a basement bar, The Den. The largest restaurant at Crown, The Atlantic seats 300 in a premium, fine dining environment that celebrates ocean to plate cuisine. Within the confines of the restaurant resides the Oyster Bar & Grill for a more relaxed experience. Atlantic Group was appointed a preferred caterer by the Victoria Racing Club (VRC) for the Melbourne Cup Carnival. On initiation, Atlantic Group was allocated two marquees. Today the team caters to more that 50% of the marquees located course wide. Atlantic Group successfully tendered to provide corporate catering services at the Formula 1® Australian Grand Prix. Now the second major event added to the portfolio. Launched a retail offering on Central Pier in Mill & Bakery. An artisan bakery specialising in freshly baked bread, pastries and sweets. Atlantic Group welcomed, Va Bene, an authentic Italian restaurant on Central Pier. Atlantic Group win National Wedding Caterer of the Year at the Restaurant and Catering Awards for Excellence. This is now the group’s 40th award in eight years. The launch of Fish & Chippery by The Atlantic; younger sibling to the esteemed restaurant and adopting the same ocean to plate philosophy with a takeaway twist. Mama Rumaan, a contemporary Middle Eastern canteen is opened on Central Pier (previously Va Bene). Victoria Racing Club award Atlantic Group the Winning Post Enclosure, adding to an already extensive corporate catering portfolio at Melbourne Cup Carnival. Awarded the exclusive catering contract at Gardens House within the Royal Botanic Gardens. Announced in October, a new partnership between Atlantic Group and Tommy Collins. The external catering joint venture is an exciting collaboration for boutique destination catering, known as “Tommy Collins by Atlantic Group”. External catering arm, Tommy Collins by Atlantic Group, is fast becoming the boutique caterer to beat with many exciting local and international opportunities in the pipeline. Atlantic Group are awarded the exclusive catering contract at Port Melbourne Yacht Club. Central Pier now welcomes over 1.2 million people per annum to our hospitality and event businesses. The Atlantic restaurant at Crown Entertainment Complex hosts over 220,000 guests per annum. the group comprises of over 1,000 full-time and casual staff. Atlantic Group continue to live up to black sheep status with out of the box appeal. Always seeking new and exciting opportunities, this hospitality house thrives on life outside the stereotypical boundaries.